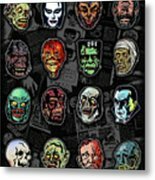 16 Horror Movie Monsters Vintage Style Classic Horror Movies by Scott Jackson - 6.875" x 8.000"
16 Horror Movie Monsters Vintage Style Classic Horror Movies framed print by Scott Jackson. Bring your print to life with hundreds of different frame and mat combinations. Our framed prints are assembled, packaged, and shipped by our expert framing staff and delivered "ready to hang" with pre-attached hanging wire, mounting hooks, and nails. 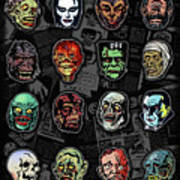 There are no comments for 16 Horror Movie Monsters Vintage Style Classic Horror Movies . Click here to post the first comment. 16 vintage horror movie monsters of fright! 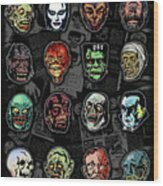 The gruesome gangs' all here (vampire, werewolf, mummy, ghoul, zombie & more) in this homage of classic creatures based on ol' school monster magazines. 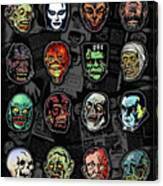 When one grisly ghost just isn't enough to satisfy your palette for all things macabre, take home a sixteen pack of Horror's most memorable monsters.